Can you have more than one DropBox account tied to a JotForm account? Hello. 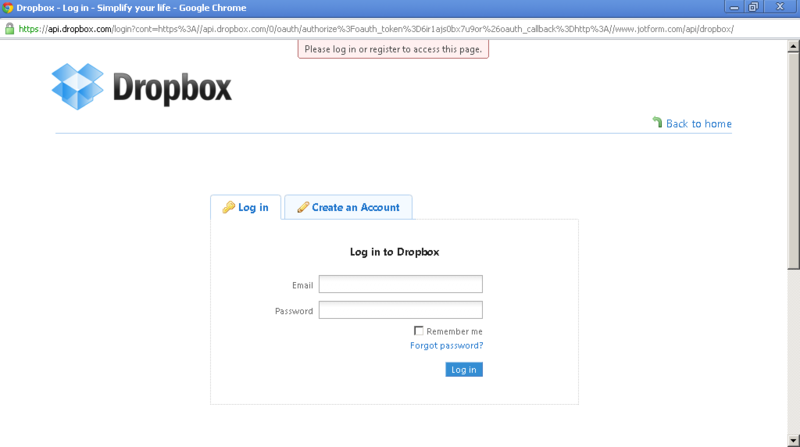 I am trying to add multiple DropBox accounts to my Jotform account, but cannot seem to figure out how to do this. Here is what I mean... When I set-up DropBox for one form, it now automatically pulls-in the existing DropBox information to any other form when I check the DropBox button in the My Forms area. I have several forms that my customers need / want to go to different DropBox accounts. Is there a way to make this happen? Yes, you can actually have more than one Dropbox account integrated with your JotForm account but you can have only one Dropbox account integrated per form. Just make sure that you're not logged in to your Dropbox account so that you will be prompted to login to your other Dropbox accounts. Please let us know if you have any other questions or concerns. Thank you and enjoy using JotForm!